A company with strong ties to Santa Clara is getting ready to take on Tesla. Byton’s Research and Development, Software Design, and Autonomous Driving divisions are housed in Santa Clara. It’s those divisions that helped Byton take a giant leap forward with its M-Byte SUV. 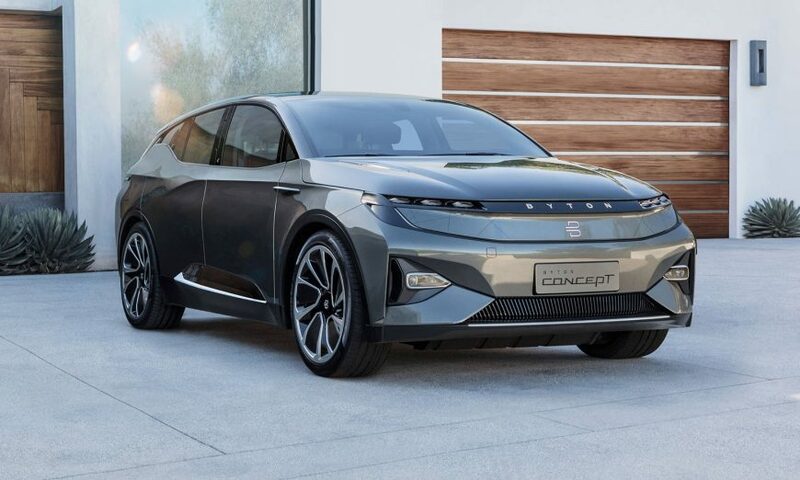 “It’s about time that all facets of your digital world finally co-exist in your car,” said Byton Vice President of Marketing Henrik Wenders during the presentation at the Consumer Electronics Show (CES) in Las Vegas on Jan. 6. The M-Byte includes multiple modems, Wi-Fi, Bluetooth and programmable SIM cards. It also comes with data encryption to protect your information. There are multiple touchscreens inside the vehicle including the center console, in the steering wheel and a “Shared Experience Display” in the dashboard. To make sure you can use your devices while driving, the car includes Level 3 Autonomous Driving, which means it can manage most major aspects of driving. For comparison, the Waymo vehicles currently driving in parts of the South Bay including Sunnyvale and Mountain View are Level 5, meaning fully automated. Byton founders say the need for the most advanced technology is what prompted them to make Santa Clara one of its homes. Byton promises that even if technology advances, the M-Byte will keep up. “In a matter of speaking, the Byton platforms are timeless solutions, constantly updateable,” said Byton President and Co-Founder Daniel Kirchert. The company hopes to have the SUV on the road by the mid-2019 with mass production starting at the end of the year. It will have a range of 325 miles and be able to charge to 80 percent within 30 minutes. The starting price for the M-Byte is expected to be $45,000. While the SUV’s range is comparable to Tesla’s, the power is not. Motor Trend recently compared the M-Byte to the Tesla Model S. What it found is that while the Tesla runs on a 680 horsepower, the M-Byte only has 272 horsepower. Byton customers do have the option of adding on an additional 204 horsepower. Byton was established in 2016 by former Tesla and BMW executives. The company is currently taking reservations for its M-Byte vehicle on its website www.byton.com.